Finally, the moment you have been waiting for has arrived, the launch of our new sister magazine and its accompanying website has become reality. 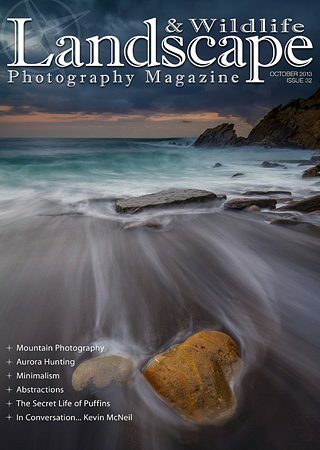 Wild Planet Photo Magazine will be with you officially from 15th of October 2013. We are honoured to have Keith Wilson as the editor of the publication and some of the best wildlife photographers in the world as contributors. The website will be available from 1st of October and the first 3 issues will be free for all to read. Now, you will notice that on page 10 we are displaying the finalists of the Global Arctic Awards. Some of the images are simply stunning, we are proud to display them on our pages this month. If you are into Aurora hunting, then don’t miss Joe Rainbow’s exciting article on page 44. 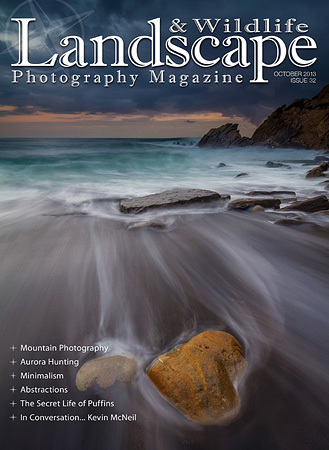 This month we also have a superb interview with Kevin McNeil, a landscape photographer that is rapidly becoming a superb and highly inspirational artist. If you are into walking the high peaks, then don’t miss our mountain photography guide with Fran Halsall. Also, check out our re-vamped Lightbox section. From this month we have a pro team that will supply you with valuable feedback, so, start sending those images you keep on your hard drive. And finally, for the wildlife lovers, turn to page 140 to read Mark Sisson’s excellent article ‘The secret lives of Puffins’. Jagged mountains rising above stunning lakes, sub-zero temperatures and a unique quality of light: the hunt for the Northern Lights is on. Joe Rainbow visited the Lofoten Islands in Norway and has a spectacular tale to tell. The conundrum has always been how to inject the vibrancy of our dynamic three-dimensional world into the 2×3-ratio static rectangle that results when we trigger the camera’s shutter button…. Translating a 3D scene onto a flat image can be problematic, hence the reason why landscape photographers employ depth and perspective for sense of scale. Wide angle lenses are superb for capturing impressive vistas, but do they really help you to refine and develop your vision as a landscape photographer?